Loaders are an increasingly common addition to larger tractors in the UK, making a flexible materials handling solution where horsepower is readily used in a business. 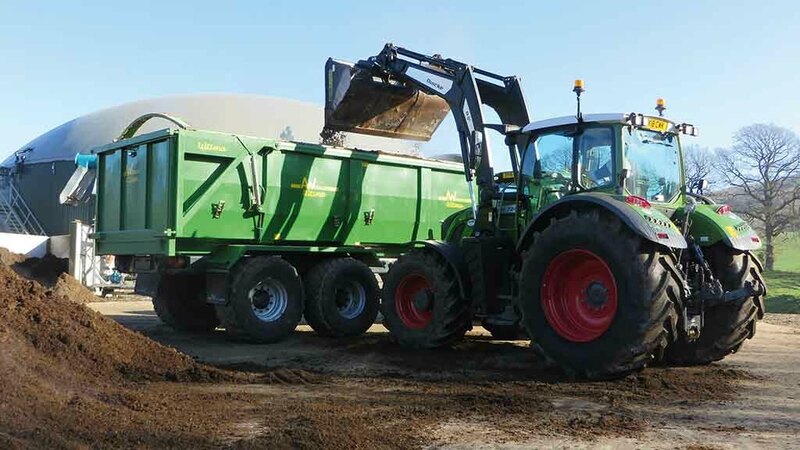 With a diverse contracting business that spans biosolids recycling, muck spreading, lime and fertiliser application, as well as general arable and grassland work, Ian Childe makes use of a range of loading equipment. 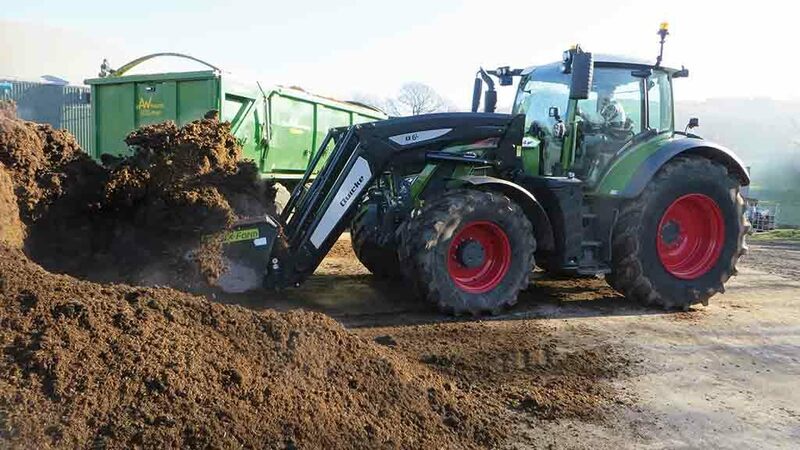 This includes loading shovels to 360-degree excavators, but for sheer versatility, fitting a fore-end loader to his ‘workhorse’ tractors, two 215hp Deere 6215Rs and a 237hp Fendt 724, cannot be bettered, he says. “We load 30,000-35,000 tonnes of lime per year, with the tractor and spreader working as a one-man outfit,” explains Mr Childe. “If we used a telehandler, we would need a low loader, which is not practical in our narrow lanes. “We hook on and off for every load, yet can spread 300-400t/day, and the tractors are nimble enough to load from some of the awkward places where lime can be tipped. The compact, self-contained unit is also handy for the extensive road travel involved, with spreaders regularly working up to 60 miles from the business’ base near Ludlow, Shropshire. In spring, two tractors are fitted with loaders and go out most days, while in autumn, both spreading outfits work together, with a third providing back up for this hectic period. Last year, the team put on 19,000t in seven weeks. Finding the right loader has been key, he says, with each clocking up 1,500 hours a year in some tough working conditions. Mr Childe also buys and sells 25,000t of poultry litter per year. 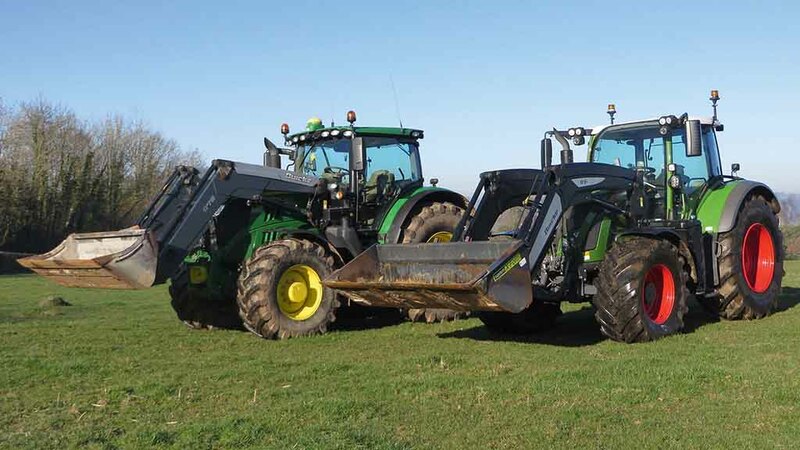 One 6215R is fitted with a Q78 while the other and the Fendt use the newer self-levelling Q6L series. The more streamlined appearance of the curved loader beams on the Q6L also has a practical benefit, improving visibility when roading with a large tractor. Under-beam lights have been fitted for night work. With a lift capacity of 2.1t and reach of 3.58 metres, loading into a tall spreader or lorry is not a problem, yet the loaders themselves are relatively lightweight at 750kg. Both loader types use mid-mount hydraulic blocks and are operated from the tractor’s joystick. Mr Childe has also been getting to grips with Q-Companion, Quicke’s ‘digital assistant’ for the loaders, which offers a weighing function, implement position monitor and maintenance reminders, plus the ability to transfer loading data via Bluetooth to a smartphone or web app. 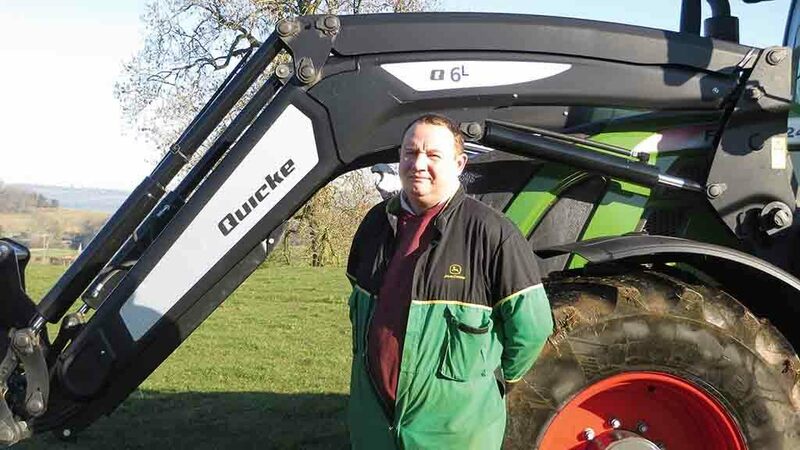 He says: “We have not had that much time to use it yet and, as the tractor loader combinations can be deployed to any job rather than focusing on one task, it is hard to really take advantage of it. Service requirements are minimal for the workload, but bushes are changed once a year as the limestone can get into the grease and create an inconvenient ‘paste’. Matching the loader to the tractor is important, he says, praising the Deeres and Fendts for having a subframe chassis which is strong enough to take the forces exerted. With the main implements being buckets and pallet forks, which tend to be fitted for extended periods, mechanical implement locking is specified. A number of accessories have been made to fit on the loaders, and when a fencing job is in the offing, a Quickfencer can be easily attached. Mr Childe says: “It is a matter of finding machines and implements that can do a number of jobs and are suitable for the workload.